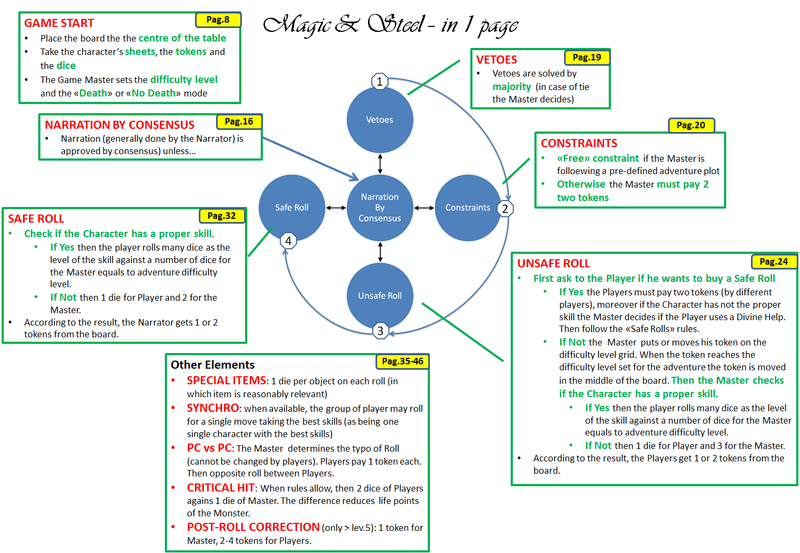 “Magic and Steel” is a “classic” roleplaying game because it takes the fundamental characteristics of the games from the eighties: clear separation between players and game GM (GM), class-based character creation, and campaign length. It expands those characteristics with new mechanisms and thoughts from the first decades of the 21st century, such as objective-focused conflict, creating a hybrid structure that will appeal to both old and new players. 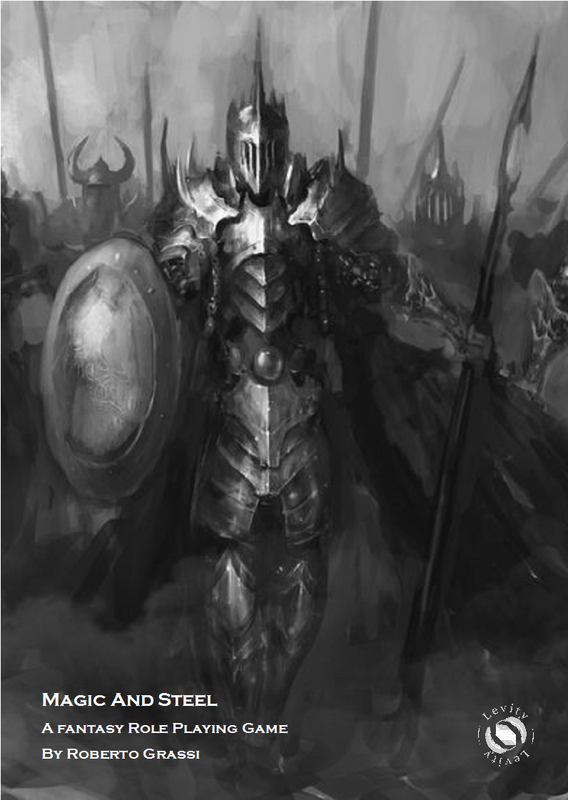 In “Magic and Steel,” the players and the GM are two sides of the same coin: no participant can do without the others, because nobody is more important than anybody else. The game is always transparent and play doesn’t require a GM’s screen. The die rolls must always be open and nothing should be decided by absolute authority (unless specifically stated by the game itself). Magic and Steel” means a lot for me. It is my homage to a way to play that enchanted me and that I will never forget. 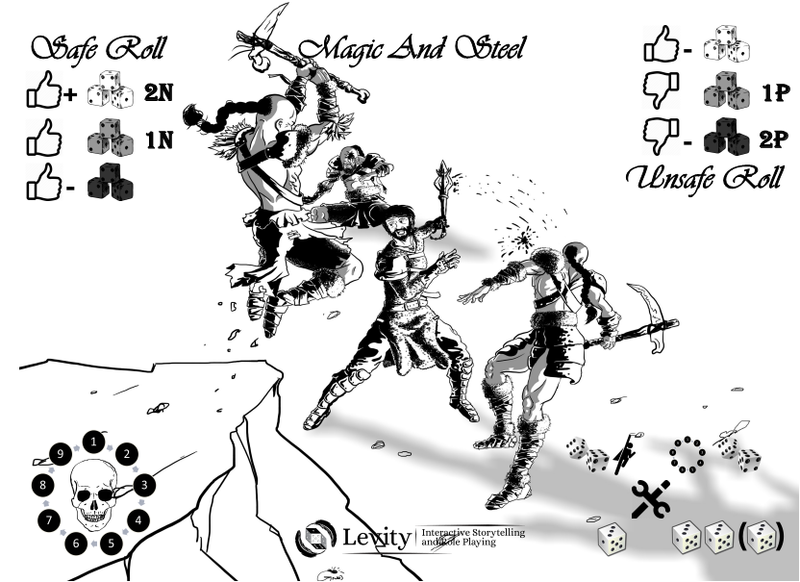 Maybe the biggest thanks should go to the authors of the Dungeons & Dragons Red Box. From the moment I opened the box my life has surely changed. No GM Screen. Rolls are always open. Central Game Board (as tabletop games), customizable. 2 Kinds of Die Rolls, 6 outcomes. “Lethal” and “Non Lethal Mode” available. Print in 11,5 x 16,5 and put in the center of the table.